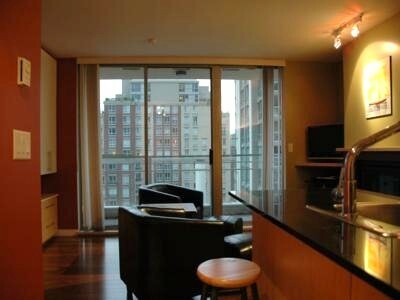 The Eden 805 is a cozy stylish studio apartment in the trendy Yaletown area of downtown Vancouver BC. 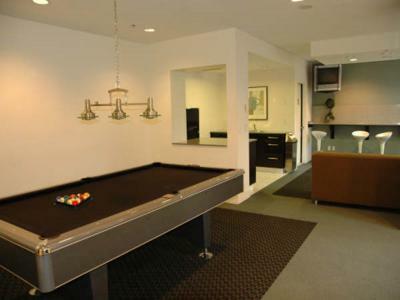 The unit has had recent upgrades which include spectacular dark bamboo flooring and a modern decor. To maximize the enjoyable space, this home features a wall bed for 2 which allows for convenient storage during the day and immediate access for when it is time to rest. There are also two single roll up mattresses which can accommodate additional overnight guests. The Eden 805 comes complete with a gourmet kitchen. The granite counters provide lots of preparation space. 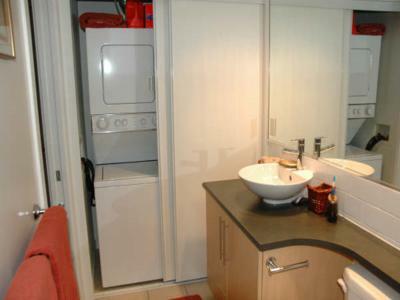 There are four kitchen appliances including a dishwasher to make your food preparation and clean up a breeze. 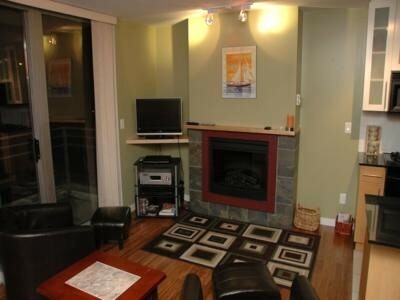 The living area is bathed in warmth by the modern fireplace, which you can enjoy while watching the flat screen TV complete with a surround sound system. Step out onto the balcony to enjoy the night air or watch the goings on during the day. 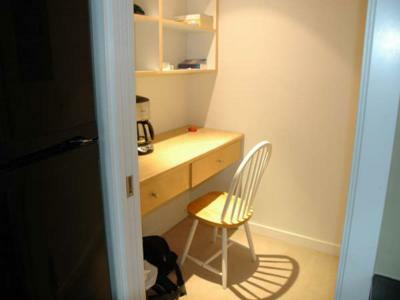 The unit also has a small den with a desk and a chair, wireless internet for you to keep up with email, and an in-suite washer and dryer. 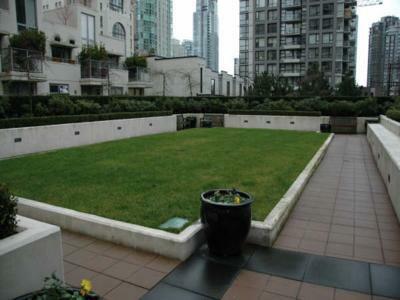 This studio apartment is in the desirable Bosa Building 'Eden'. 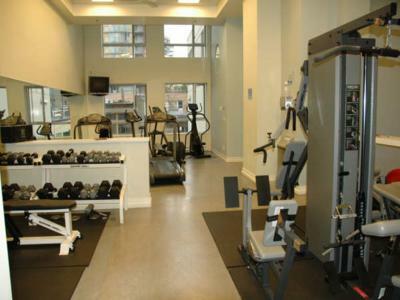 Make a note to enjoy the building's great spa inspired recreation facility which is equipped with a steam room, a hot tub, a yoga stretching area and a variety of exercise equipment. 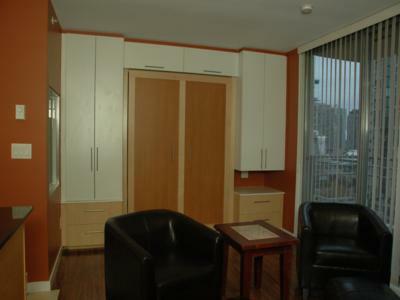 For your convenience, a parking stall is included, as well as 24 hour guest parking. 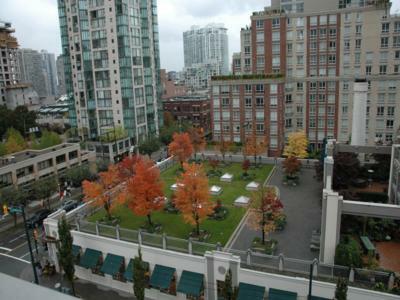 At Eden 805, located in the heart of Yaletown, all the shops and restaurants are at your front door. Yaletown is located on the edge of False Creek in downtown Vancouver and is a trendy urban community comprising a mix of residential, office, restaurants, boutiques, cafes, micro-breweries and galleries. Those embracing the outdoor lifestyle will love it. Yaletown's seawall pathway system is used by a mix of walkers, joggers, cyclists, and people on roller-blades. The walk has many special features including extensive landscaping, lighting, artifacts, and green spaces. For easy access to other areas of the downtown code by water, head to the bottom of Davie Street to the False Creek Aqua Bus which leaves on a frequent schedule for destinations such as Granville Island, Stamps Landing and Science World. You will enjoy the Eden 805, it is a perfect mix of convenience, comfort and modern styling. Please note that this property requires a minimum of term of 3 months. Two single mattresses are available in the studio. It is hard to rate the value of the accommodations for the price paid as we stayed there during the Olympics when everything was over priced to start with. 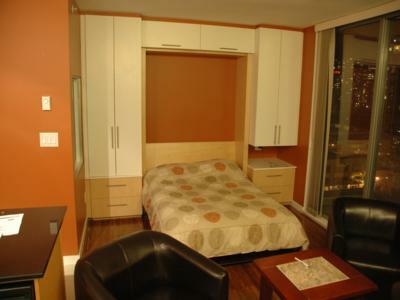 The accommodations we had were in an excellent area and we were able to walk anywhere. Also the skytrain and bus routes were very close by. Having the supermarket across the street was convenient. The condo we stayed in had everything you would need, it was clean and the greeter service was superb. The greeter was there exactly when they said they would be and they showed us around the condo.